The popular TODAY financial editor Jean Chatzky helps you navigate through the critical challenges and potential catastrophes of personal finance.You've just lost your job. You've got a baby on the way. Your parent has had a stroke. Most people seek financial help not because they're planning for the future but because they need it . . . right now! If you have money problems or are seeking immediate help to solve a dire, unanticipated financial emergency, then you need Money 911. 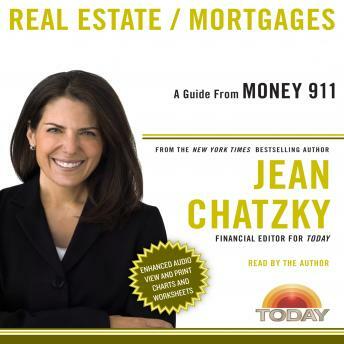 In this invaluable guidebook, financial expert Jean Chatzky provides answers to today's most pressing financial questions and concerns, including: * How do I get out of debt? * How do I avoid foreclosure? * How do I set up a monthly budget? * How can I improve my credit score? * How do I get my health insurance to pay a claim? * What should I do when I lose a parent?With Money 911, you can prepare for retirement, buy or sell a home, pick up the pieces of your personal finances, and get back on your feet—and stay there!